Life, experience, purpose, meaning and discovery. Spirit, reason, hope and change. In the course of putting this site together, I have realised that there is a real risk that my path strays from that which I initially hoped for and the reason for this is my own Ego. As the Australian rock band, Skyhooks famously sang, “Ego is not a dirty word”. But one must take it into account, particularly when embarking on a venture such as this, where it is possible that my words will come to shape the reality in which people live their lives. Hubris, arrogance and pride are real risks, when your mind travels the paths of the Infinite. But the least important part of this website is what I believe! While my views on the nature of the Divine are relevant, nobody should believe them purely because I believe them. Anyone who knows me personally will know that I am very passionate about my attempts to understand and communicate the underlying reality of the Infiniverse in which we find ourselves. I can spend hours explaining my conceptualisation of the nature of God, but in doing so, I find myself missing the main point, potentially alienating others and failing to establish the foundations from which my spirituality has arisen. Instead, what is important in what I hope to teach to the world, is that which is contained within the sections of this website currently headed “The Principles” and “Rational Belief in God”. These are important, because they highlight the very uncertainty that lies at the core of sentient experience (and remember sentience is about experience in all its Infinite diversity) and the simple fact that people have the right to make sense of the world as they see fit. Indeed, irrespective of however the person with the power, or the gun attempts to coerce, they have no other choice: They are psychologically incapable of anything else. The entire concept of compelling a particular set of beliefs and practices is abhorrent to me. The Uncertainty Principle teaches that any attempt to do so will only result in the propagation of what is almost certainly not true. The Spiritual and Psychological Principles illustrate the fact that any attempt to communicate spiritual truths to another is bound to founder on the rocks of individual differences and the reality that it is impossible to communicate ideas about the Infinite in the limited language of mortals. The first Disciple is always the first Heretic. Each individual has the responsibility to believe what makes sense to them and to reject the imposition of the views of others upon themselves. But they need to challenge their own thinking, so that they are not trapped within an illusion of happy ignorance. More importantly, we all need to extend that courtesy to others and ensure that we are not imposing our beliefs on others. We all like to be “right” but it takes thought to realise that the odds of your “TRUTH” being “True” are infinitely small. This is where the ego becomes a problematic distraction, as we focus on our “Reality” to the exclusion of all others. If not even god can never know if God is GOD, how can you ever know that you are right? One of my favorite realisations is that “Life is like Dancing: It doesn’t matter how stupid you look, so long as you aren’t screwing it up for others”. And most importantly, “Act with Empathy”. 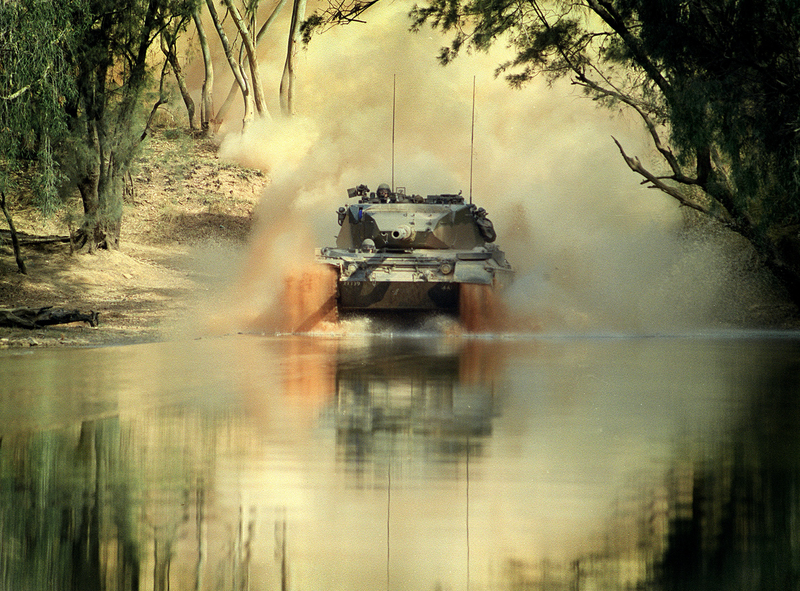 Australian Army Leopard Tank – Image Courtesy of Australian Department of Defence. Manager of a games shop. Graduate Certificate in Career Education and Development. Throughout my life I have always been drawn to the spiritual. I have always had the sense that there is something greater than myself and this sense has been lodged firmly at the core of my very soul. Accordingly, I have through the years explored the spiritual, and gradually as I matured and discovered more about the Divine, I have become, somewhat to my own surprise, a Mystic. And on this path, I have indeed been blessed. I have been fortunate enough to have been able to touch the Mind of God and the Infinite Divine. Once this is realised, everything else falls into place. It is only one Principle, but it is infinitely subtle and varied, with a richness that will take lifetimes to appreciate and even longer to incorporate into Humanity’s future. But it is our calling. Our Destiny! A few people have asked me why I have put together this website, with its highly controversial and potentially self incriminating content. While it is only a small, if essential part of the greater whole that is my practice of Mysticism, the risks of going public, regarding my use of Transcendent Compounds are numerous. I have been refused potential employment by employers who have discovered this website. I have been abused and attacked as being nothing more than a “druggie”, or “junkie”, just looking for my “fix”. I could be harassed by law enforcement, charged and even sent to prison for the simple act of practising my religious beliefs in a way that harms nobody else (although the Freedom of religious practice is guaranteed in the Australian state of Victoria, where I reside). I am sick of pretending to be someone I am not. I am tired of the mindless, unthinking ignorance demonstrated by some who misrepresent and attack my beliefs. The right to the free expression and practice of religious belief is one of the enduring cornerstones upon which modern Western civilization is built. It is a key component of the Constitutions of both the United States and Australia and is present in the Declaration of Human Rights. All I ask for is to be allowed to freely practice my religion without threat of censure, condemnation, or threats of rebuke.